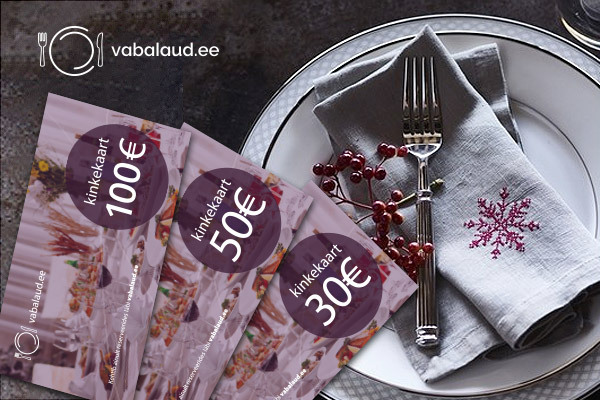 For a while it has been possible to pay immediately for the dinners and events via the bank link in the portal of www.vabalaud.ee. To please our clients we have added most widely-used credit cards among the payment options. 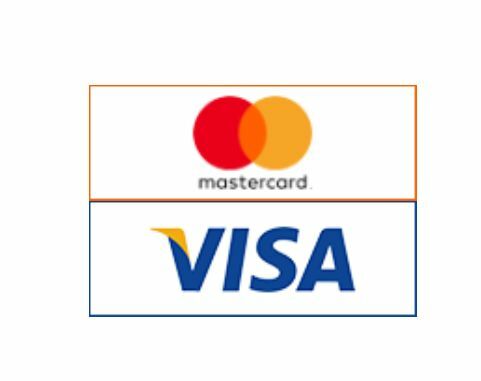 This enables active credit card users, including all guests from abroad, comfortably purchase suitable dinners and use other chargeable services. Estonia is often considered to be one of Europe’s best kept secrets, offering beautiful scenery, rich heritage and culture, and friendly locals. 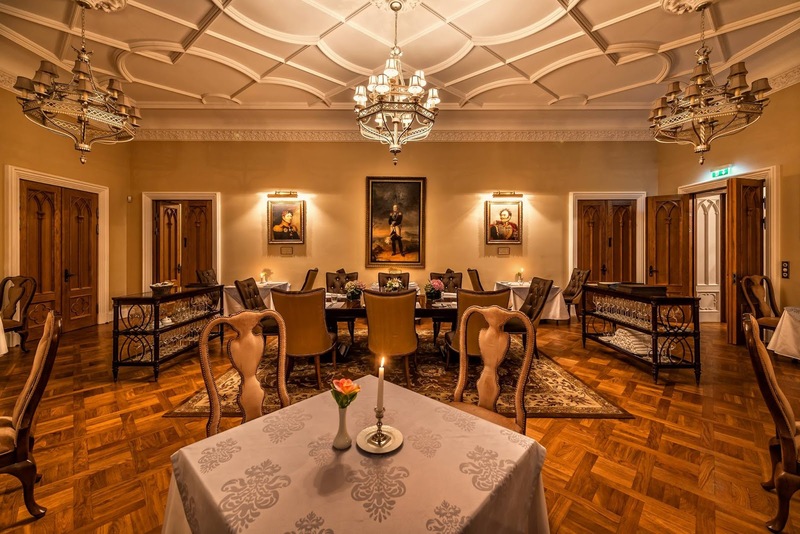 Estonia is also a delight for anyone looking for a romantic destination, as it offers some of the best cafés and restaurants that combine a number of local and internationally inspired cuisines. Even as the country grows in popularity as a travel destination, it’s still nowhere near as crowded as some of the largest cities in Europe. This makes it the perfect place to visit with your friends or special Valentine in 2018. The culture and restaurants will amaze you, and it’s a real experience to explore one of Europe’s most fascinating regions without all of the bustle that you would find in the usual tourist traps. When it comes to dining with someone special or having a meal and a few drinks with friends, these are the ten best Valentine’s Day destinations that you need to try at least once in your lifetime. Behind Tallinn, Tartu is the second largest city in Estonia. It’s also a city of remarkable beauty where historical and modern architecture is combined to create a completely unique experience. 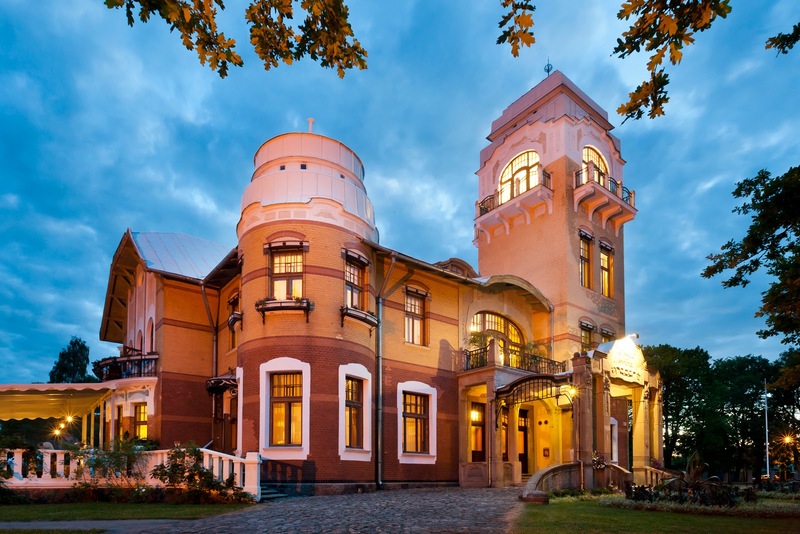 Tartu is sometimes referred to as the intellectual center of Estonia, due to it being the location of the country’s oldest and most prestigious university. 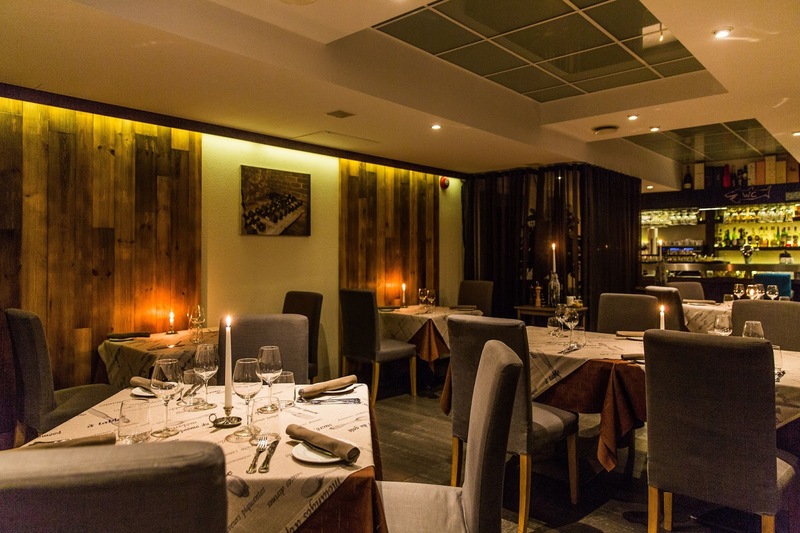 In Tartu you’ll find Antonius, one of our top picks for dining on Valentine’s Day. 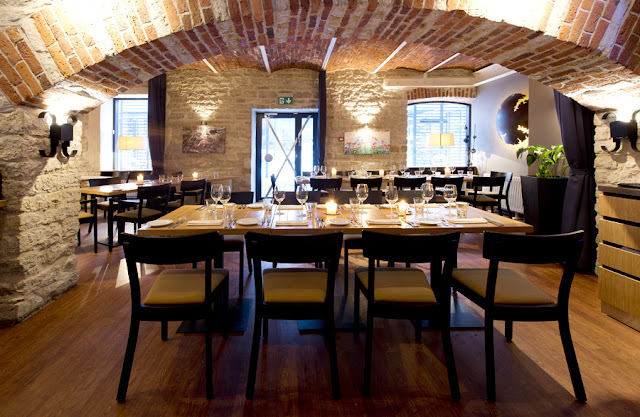 The restaurant is located in one of the historical districts of the city, right next to the University of Tartu. Service is some of the best that you’ll find anywhere in the world, with menu options that will be the highlight of a magical day in a mesmerizing city. Valentine’s Day also calls for an exquisite glass of wine to go along with your meal, and you’ll find plenty of options to share with your Valentine or amongst friends. The wine list includes an extensive selection of old world wines from throughout Europe, including some from France’s best wine producing regions. 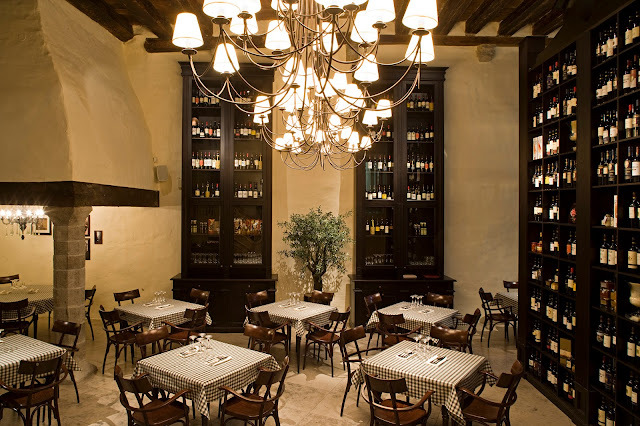 Bordoo offers an experience that you would expect from the most luxurious old world restaurants. The menu is inspired by fresh ingredients, including seasonal produce from Estonia. Valentine’s Day calls for something special and we can recommend the selections in the Chef’s Tasting Menu, including 4-course and 6-course options. Recommended wines can be included to provide the perfect pairing for your meal, which is absolutely essential if you want to bring out the best flavors from the selection of dishes. If you want to create your own meal, then you can of course choose from the extensive menu of starters, main courses, and desserts. The Crab Soup is an umami delight, providing savory flavors along with rich ripe tomatoes. The Surf & Turf Tartar is another excellent option for lovers of fresh beef and seafood, and includes salmon caviar as well as tuna and beef. If you’d like to continue the rich flavor adventure over to your main, then the marbled beef, potato, and shitake mushroom main course is an absolute must-try. Adventurous eaters could try the horse tenderloin for something outside of the ordinary. The drinks menu is extensive allowing you to create your own pairings. French Champagne and sparkling wines are perfect for a celebration, and there’s a variety of high-end reds including Pinot Noir and Bordeaux varieties. If you are looking for something sweet to top off your dessert, then ask for a class of the Chateau de Mauvin, Sauternes. 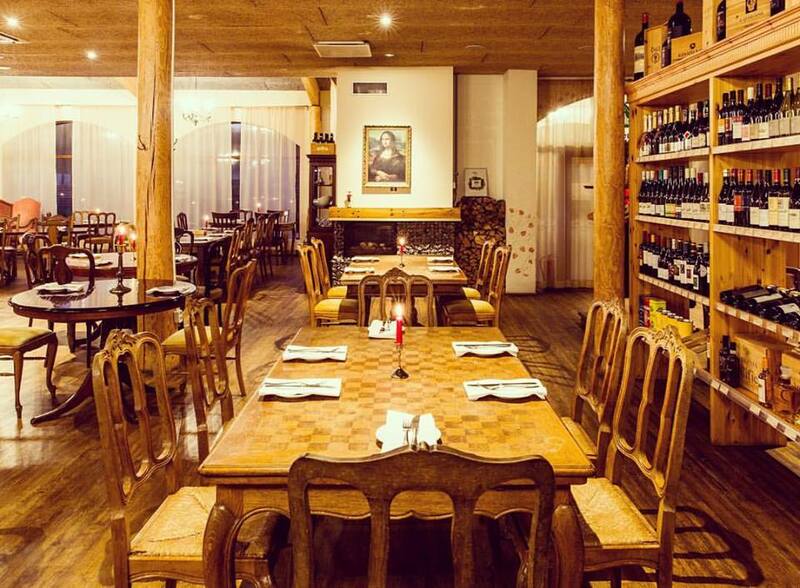 The décor and atmosphere in Bordoo is perfect for an intimate meal between two. The Keila Joa Castle Manor is a neo-gothic style masterpiece that dates back to 1833, and it’s also the location for Cher Ami restaurant. Visiting this historic site nestled amongst the picturesque woods would make for the perfect Valentine’s date, and the restaurant is also suitable for group dining. The luxury décor is perfectly complemented by the luxury menu options found at Cher Ami. 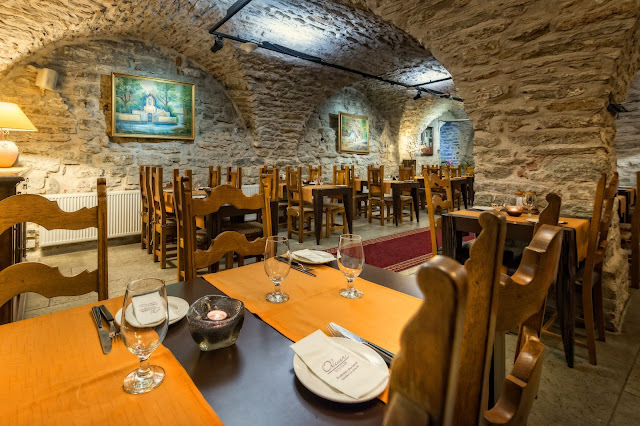 The restaurant is not just located within the historic castle, but it is inspired by the tradition found within the walls. Everything from the architecture to the interior décor is absolutely authentic, and will make you feel as though you’re quite literally stepping into the past. This restaurant receives consistent high ratings for atmosphere, food, and service, yet it is still reasonably priced making it an essential spot to visit while you’re in Estonia. Starters like the Prosciutto Crudo Ham with Melon and Rucola will give you a small taste of the excellent quality and flavor that you’ll find with the main courses. Luxurious offerings ranging from Veal Cheek to Duck Fillet will provide a dining experience like you’ve never had before. The sweet desserts combine tradition with modern innovation, and the Lavender Crème Brûlée is one unique menu offering that should not be missed. 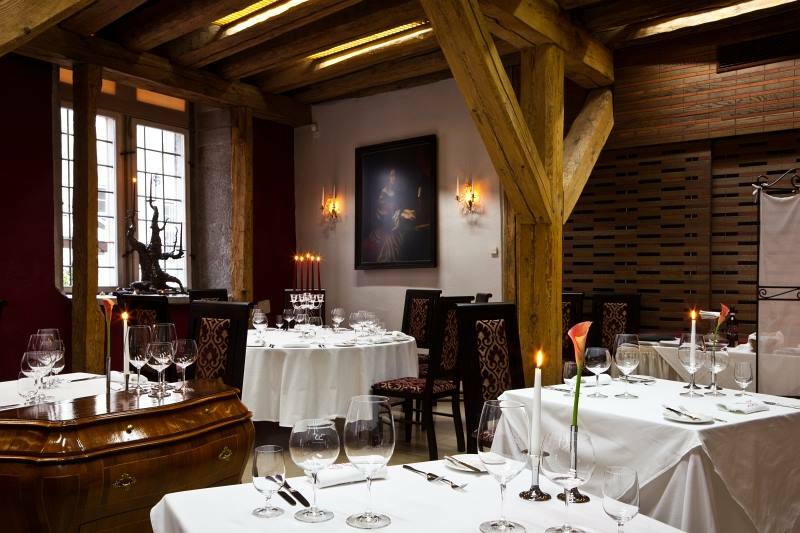 As with all of Estonia’s best restaurants, you’ll find an extensive wine list and helpful serving staff who will assist you with pairing recommendations for whatever dishes you choose to order. Within the capital and largest City of Estonia you will find the heart of history in the region. Spectacular grand architecture from centuries past comes together with a modern populace with a strong finance industry. 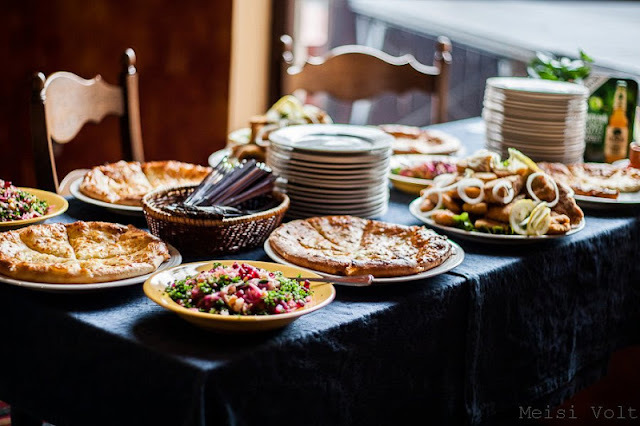 Tallinn is a thriving city that combines elements of the eastern and western European cultures, and it’s home to many of the country’s best restaurants. Dominic is one option that deserves its place on any Top-10 list. Dominic has a historical charm with lavish furnishings and architecture that nods back to the past. Pure white tablecloth dining and floral upholstered chairs are the first indicator that this restaurant will be a place to remember. It’s a romantic location for two on Valentine’s Day, and would also be suited for a group of friends or family members who will be spending this special day together. Dominic claims to have the best wine list in Estonia, and it’s a claim that you’ll believe when you see what’s on offer. From vintage reserve Rieslings to Spanish, French, and Chilean Reds, you won’t find this much diversity at any other restaurant in the city. Of course, no wine list would be worth the trouble if you didn’t have the gastronomical delights to pair. The menu designed by Chef Allar Oeselg includes main choices like Duck, Veal, and Deer Fillet, or there’s even Lamb Chops for those who love the richer taste of a variety of meat that is not as commonly eaten as it once was. Fresh produce is used in the meals with creativity that never compromises flavor. The Sturgeon Fish with Burned Broccoli and Parsnip is one particularly interesting option that turns out to be a journey of flavor. If you want to impress on a valentine’s date then this is one of the very best places to do it, and the fact that you’ll be dining in one of the oldest residential houses in Tallinn is a bonus on top! Looking for a place that is slightly more relaxed but that still offers a premiere dining experience? Platz could be exactly what you’re looking for. 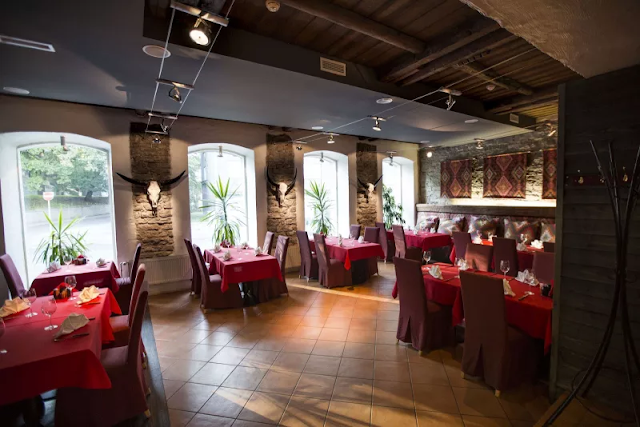 Friendly and professional service is never pretentious, and you’ll be able to sample Estonian cuisine made with the freshest ingredients and local produce. You could consider this restaurant to be comfort food taken up to the next level, with every dish being creative and absolutely delicious. Although Platz is not as intimate as some of the previously mentioned restaurants, this does make it perfect for couples who want something more casual, or for groups who just want great conversations and food on this upcoming Valentine’s Day. Try the Blue Mussels, Duck, Poultry and Pasta dishes. If you want your Valentine’s Day to extend beyond the meal, then you’ll be impressed by the extensive drinks menu that includes premium wines, domestic and international beers, and a designer cocktail menu that will help you to relax and wind down at the end of the day. 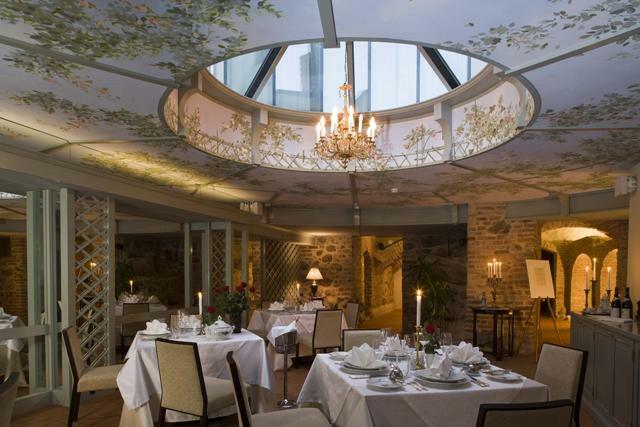 Still in the capital city of Tallinn, you’ll find the always popular Lusikas. This restaurant incorporates a modern style and décor with an innovative menu that blends classic and modern concepts. The prices here may surprise you as they’re more than reasonable, even for high quality options like the Jerusalem Artichoke Risotto, or the Pan Fried Duck Breast and Quail. If you love the taste of Lamb and can appreciate a rich and unorthodox sauce, then you’ll enjoy the Slow-Roasted Lamb Shank with Carrot Puree, Shallot Jam, and a Port Reduction. It’s the perfect combination of sweet and savory. Lusikas can become your prime spot for an evening Valentine’s meal, and with delicious desserts and a full wine and drinks list you won’t be missing out on anything when dining here. Spot is another of Tallinn’s high quality restaurants, offering a menu that has been inspired by both traditional and modern fusion cooking methods. The atmosphere is classy and modern, with a small menu that focuses on quality rather than extensive options. Choose spot if you want excellent food but don’t want to be bogged down by extensive selections. The appetizers make for the perfect start to your night, and the main courses cover off all of the ideal proteins that you would expect from a high end restaurant. Lamb, Beef, Duck, Chicken, and Tuna, are all covered on the menu. You can even sample a very special dish featuring Local Moose and Black Lentil, which is definitely something that foreign visitors or expats will want to sample. If you or your Valentine are vegetarian, then both the Lasagna Salad and Chickpea (Garbanzo) Salad offer perfectly balanced flavors. The Tuna with wasabi-potato puree is a fusion meal that combines regional catch with Japanese tradition, and is another highly recommended menu item. In Southwestern Estonia, the city of Pärnu offers beauty that combines more of the classical architecture that Estonia is well known for. 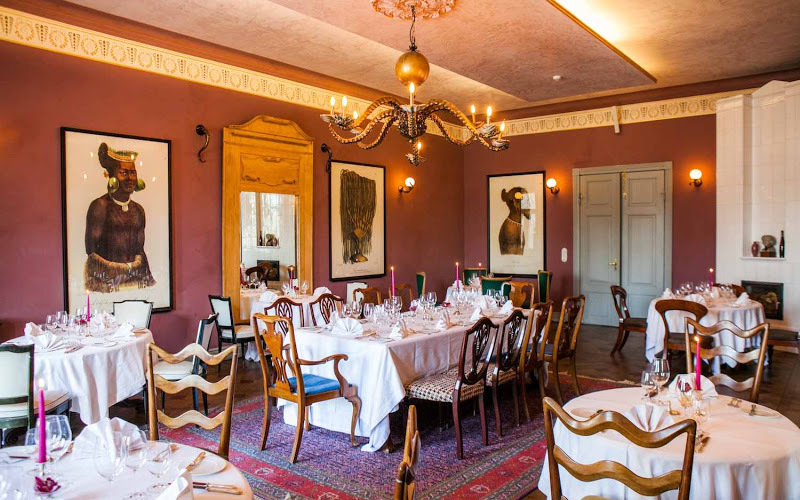 The city is also home to Villa Ammende, a restaurant headed by executive chef Mihkel Heinmets. His menu includes fine selections like Oxtain Agnolotti, made with a creamy sparkling wine sauce, as well as a Smoked Rack of Lamb that is served with Couscous, Nuts, and Apricots. Any meal you look at on the menu is made from premium ingredients that are perfect for a very special Valentine’s meal. The Beef Tenderloin is served with Roasted Foie Gras and Truffle, and is an excellent choice for someone who loves steak but wants to try something of the highest quality. Villa Ammende is highly rated by visitors, not only for its food, but for its picturesque location and quintessential Estonian design. 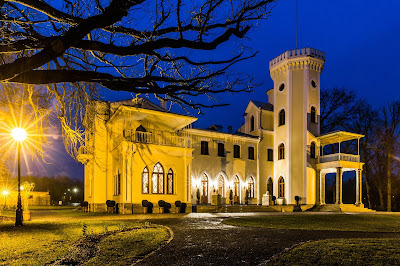 In a city where the river meets the sea, there’s lots to see and do and a visit to Villa Ammende is something that you need to add to your list. Estonia’s rich history and inspiring architecture cannot be ignored, but there are still restaurants that instead choose an ultra-modern aesthetic. 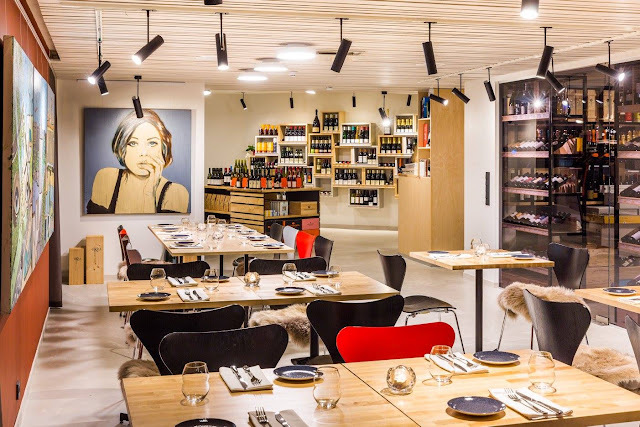 Enoteca Lucca is one of these restaurants, offering a contemporary dining atmosphere which could be perfect for Valentine’s couples who would be more comfortable dining somewhere that feels more modern and familiar. The menu is heavily influenced by Mediterranean cuisine, with hints of Middle Eastern and Old World flavors to be found. The wine list is extensive and bottles are sourced from smaller producers who are focused on quality rather than production numbers. For couples that want to try new things, Enoteca Lucca is recommended. With a bright central fireplace that brings warmth and atmosphere, Kalevi Jahtklubi Resto is by far the homeliest restaurant on this list. Rounding out the top ten, it’s a destination for a low-key dining experience between friends or Valentine’s lovers. The atmosphere is relaxed and feels more like a home than a full service restaurant. There’s a strong maritime theme, and that makes it perfect for anyone who loves to spend time on the coast or out on the ocean. Menu choices are extensive, but the quality is ever-present throughout every dish. Try the Wild Boar Rib, or maybe the Oven Baked Cod if you want something authentic from the ocean. Wines are extensive, as are Beers and Ciders. If you aren’t looking for a full meal but rather just a casual romantic outing with your Valentine or group of close friends, then you could enjoy cheese and wine platters with selections including Parma Ham, various Cheeses, Olives, and a special Cloudberry Jam. Even if you can’t get to Estonia on Valentine’s day, all of these locations are perfect for visiting at any time of year. Whether you prefer intimate indoor dining, or al fresco dining with a view, you’ll find something that appeals with a menu that you will love. Vabalaud is the best place find information about local restaurants, you can make bookings online, and you can even purchase gift cards for friends or loved ones to use on Valentine’s Day or at any time of the year. This is your portal to discover the perfect restaurant destinations for your next trip to one of Europe’s most beautiful and romantic cities. META: Find the best restaurants in Estonia for Valentine’s Day 2018. Discover ten of the best restaurants from around the country for great food, wine, and company. A visit to Estonia this winter will give you some great stories, but one of the most important parts, is the food. After all, why would you visit a foreign country if you weren’t going to at least sample the food and see how it differs from your own local cuisine? We’ve taken the liberty of putting together a list of 12 restaurants that you absolutely need to visit while you’re in the country, some of which are highly unique. Estonia is home to some of the most amazing restaurants in the geographical location, and Asian Chef is located right in the center of Tertu. The chefs are natives of India and Nepal, both well versed in the preparation of Asian food. Not only will they be able to provide you with some of the best food in the area, but they will also allow you to dine in an incredible, charming, vibrant atmosphere the likes of which you’ve never seen. The foods at Asian Chef are carefully chosen and prepared from the freshest ingredients according to their near endless menu. The foods you have to choose from Asian Chef are practically limitless, with the selection containing Indian, Chinese, and even Thai dishes. Additionally, vegetarian dishes are available for those who are interested! Finally, make sure you check out the extensive wine list while you’re visiting! It’s selected carefully, ensuring that you get only the best, and that your pairing experience is favorable. Cher Ami is proud to set itself apart from the typical corporate restaurant style, and can instead be found inside Keila-Joa Manor, which was built in 1833. A walk around the outside will reveal a building constructed in the neo-gothic style, with the manor serving as a museum as well as a restaurant. Don’t worry, that’s not all. If you look outside you can see the countryside of Estonia, characterized by a roaring waterfall and rushing river rapids. No matter where else you go within the country, you can think back on this experience and remember the grand view of Estonia from within the castle. Clubhotel doesn’t just provide great accommodations, they also provide to quality food at their dining establishment. This beautiful restaurant was designed by Mai Runa in 1960, and remained the hot party venue in South Estonia for many years. Recently it’s been re-opened and is now a completely renovated building, much to the joy of night lifers. It’s a fresh face in Estonia, and it represents itself as one of the most amazing and sophisticated restaurants in Estonia, and quite frankly, it can live up to that advertisement. GMP Clubhotel is sitting on the shore of Lake Puhajary in Otepää Estonia and serves as a very unique accommodation establishment. You can have a private holiday, all on your own, in luxury apartments, and if you like them enough, you can even buy them. 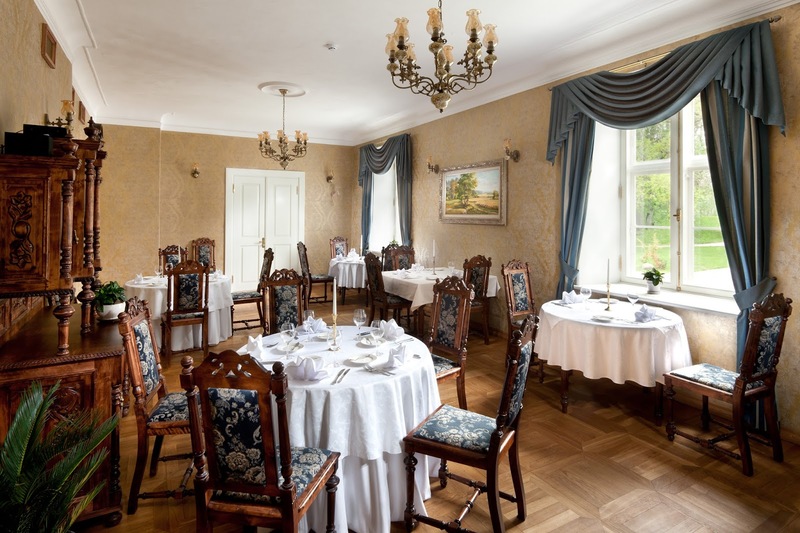 Padise Manor operates as an a’la carte restaurant that offers cuisine in the Estonian style along with other dishes that are designed to meet a variety of different tastes. The diverse menu is accompanied by a children’s menu, along with separate menus designed for groups of ten or more. When it comes to accommodation, Padise Manor is second to none, featuring the main restaurant rooms that bring a beautiful view of the park, the pond, or the monastery. If the area is experiencing nice weather, you could sit outdoors or on the terrace, with an amazing view of the monastery ruin. Outside there are 10 tables with seating for up to 40 guests, all in a highly relaxing environment. It’s a dining experience that you won’t soon forget, and a great way to forget your everyday life for a while. In downtown Tartu there are some amazing tasted just waiting for you. Hot Pot is a traditional Chinese restaurant and a dish that dates back more than two thousand years. It’s a slightly boiling stew, combined with raw meat, seafood, and vegetables. All food is cooked on the table, right in front of you. There is little doubt that most people find Eight Legs to be a beautiful eating establishment, and with good reason. The restaurant is so named for the tentacle shaped chandelier that sits front and center in the restaurant, serving as a light source and an outstanding conversation starter. In this establishment, fifty guests can be supported in either the main room or on the terrace that gives you a full view of the surrounding area. If you’re in Estonia for the scenery, this is the route you want to take. 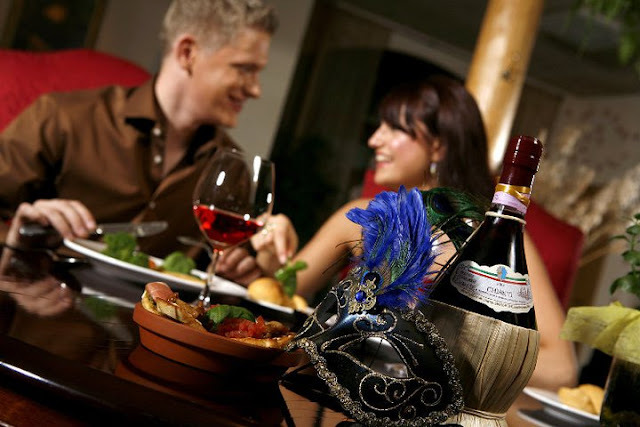 If you’re looking for a more intimate dining experience however, you could choose one of the themed rooms! Eight Legs proudly offers up the cigar room which features a functional bar and the ‘old world’ feeling that you’ve been looking for. 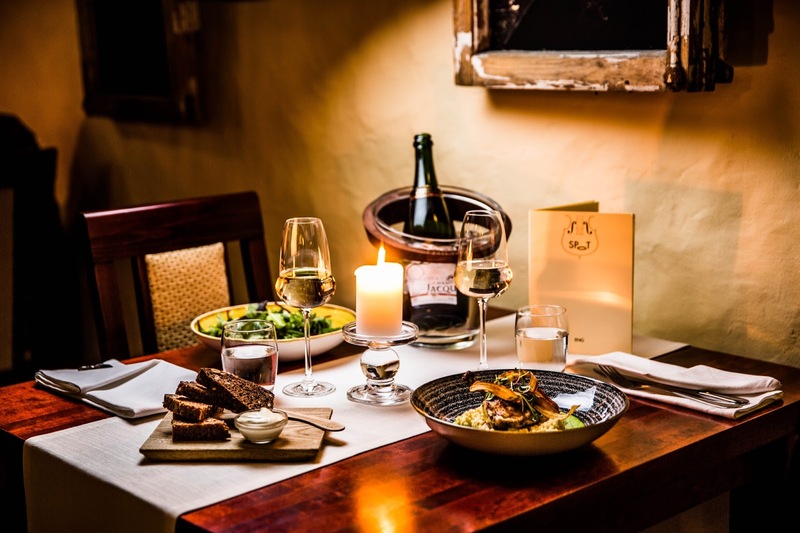 If the old world isn’t exactly what you need right now however, you could try either the wine cellar, which features wooden racks from wood dating back to the 13th century, or the Absinthe house which has a more upbeat but sophisticated atmosphere. The private dining options provided by Eight Legs are perfect for dining, but they are also ideal for birthday parties, bachelor parties, wedding receptions, business meetings, and much more. Eight Legs is a great destination if you want a dinner to remember. In the center of Parnu you’ll find Kolhethi which features a which provides a menu full of Georgian delicacies, all perfect for summer day sampling. Delicious soups and light salads are just the start of the story, and it and it eventually moves on to the flame grilled, skewered meat delicacies. Dessert can consist of traditional pastries and Georgian honey cake, all served in an authentic Caucasian atmosphere. Don’t forget, Kolhethi also features an extensive wine list! It’s never been easier to pair your food with the perfect wine! Raimond prides itself on using locally grown products, which supports the economy and puts fresh products right on your plate. Aside from the extensive and sophisticated menu, Raimond is quite proud to offer a terrace that opens up to one of the most beautiful county side sceneries. The eatery will cater to all of your food based needs at all times of the day, from baked goods for breakfast, to lunch dishes that will absolutely astound you. The eatery is accompanied by the hotel bar in the lobby along with the fireplace room that is perfect for business meetings. As always, you can walk off your dinner, or breakfast by heading out to the beach. If you’re ever in the area, visit to Raimond needs to be one of the first things on your list. Welcome to the new Resort Hotel, which serves a contemporary Estonian cuisine. The menu, prepared by Chef de cuisine Rudolf Visnapuu, is comprised of local seasonal products and seafood. Antonius is unique in that it is a vaulted cellar restaurant complete with beautiful ceiling paintings, a unique glass atrium, and a light filled atmosphere that you won’t soon forget. Additionally, it’s a 42-seat restaurant, perfect for smaller gatherings, cocktail parties, or even weddings. If you want to take it back a notch however, the space is great for romantic or intimate dinners. Remember, smaller gatherings can take place in the private hall, supporting about eight people, while the Antonius Suite supports up to 14. During the summer, the terrace is open, providing even more dining options. One of the best parts about Antonius is the diversity of the menu as it caters to individuals with allergies as well as vegetarians. It’s a perfect gastronomical solution, and a perfect dining experience, complete with a fine selection of Old World wines. You’ll absolutely love this dining experience! Ammende is often considered to be one of the best restaurants in Parnu, and with good reason. It brings a great combination of domestic, fresh flavors along with French-Mediterranean cuisine. The restaurant employs seasonal ingredients, and a selection of raw materials provided to them by local farmers. It doesn’t just taste good, it supports the local economy and gives you a chance to really sample all that Estonia has to offer. This eatery in Central Estonia isn’t just a place for you to fill your belly, it’s a place for you to do it at a reasonable price. The atmosphere is incredible, located within an old manor house that was saved by three chefs, turning it into a brilliantly executed and well decorated restaurant. The house itself dates back to 1820 and when first discovered, it was in poor condition with the doors and windows boarded up, and a good portion of the flooring stolen. Through years of hard work and determination, the restaurant began to take shape, finally becoming the beauty that it is today. 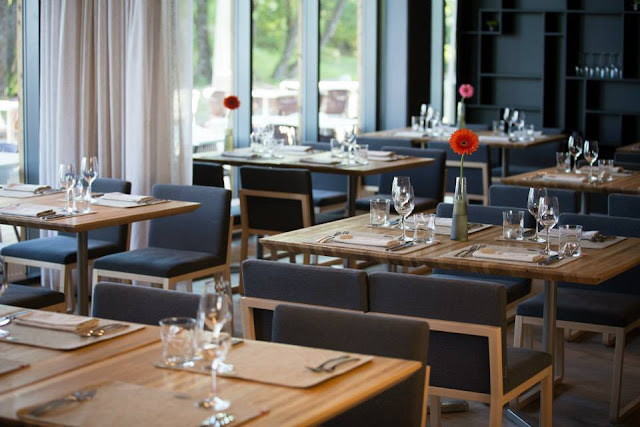 Finally opened in 2010, the chefs have proven that not only can a house be rebuilt and turned into a fine restaurant, but delicious food can be crafted using local Estonian material. If you’re going to visit, consider that the restaurant is seasonal, meaning the menu will be in a constant state of flux. In other words, if you visit now, you’ll eat something entirely different if you come back at a different time of year. In winter, more filling meals will be prepared, and the summer sees much lighter food, as a result of the available produce changing as the season progresses. In the cellar you would find preserves which contribute to jams, juices, and much more. These are some of the most popular restaurants in the area, with each one on our list hand picked for its excellence. Each restaurant is highly detailed, features fresh food, and stands apart from your typical chain restaurant. When you visit Estonia you’ll want to check each and every one of them out, if you can, or perhaps visit the few you have time for. The point is, that you’re going to have access to fresh Estonian produce and a culinary experience like no other. 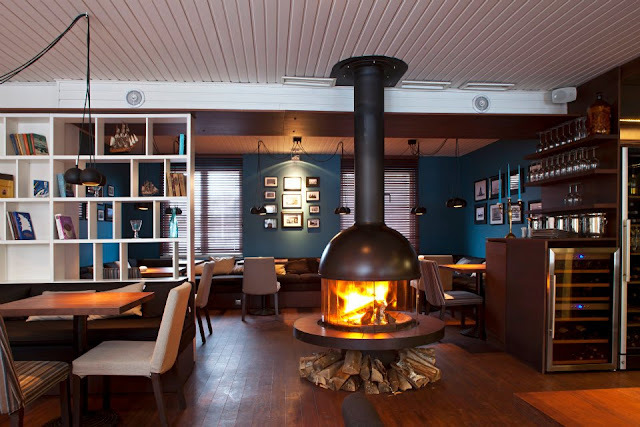 Meta Description: This Winter, travel to Estonia and take a look at some of these amazing restaurant examples. 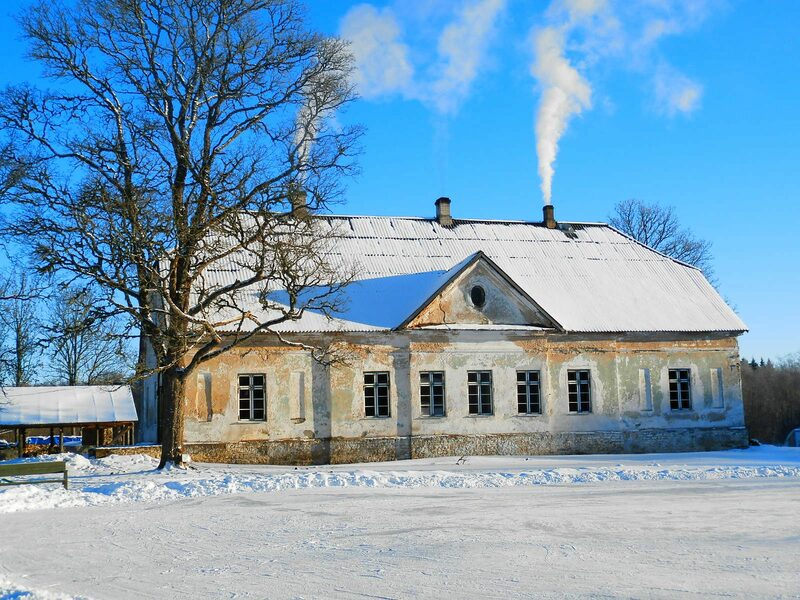 Enjoy fresh food and the Estonian culinary style during your Winter getaway. Are you planning to visit Tallinn this winter? Sightseeing, socializing, and grabbing pictures for social media is great, but if you’re going to spend an extended period of time there, then eating is essential. Check out these 13 one-shot restaurants and start planning your trip. Vabalaud.ee homepage is available in four languages (Estonian, Russian, English, Finnish) and our list of restaurants currently include more than 100 eating places located around Estonia. Kuldmokk is a restaurant proud to present an incredible and extensive menu complete with appetizers, a wide selection of main dishes, and an ingredient list that is bound to meet the needs of any appetite. No matter what you order, it’s going to be delicious, and you’re going to remember it long after you go home whether you’re a tourist or a local. Tourists who do drop by always cite the menu variety, which is known for being able to meet virtually every different taste or need. The restaurant was established by two friends who recognized and truly understood the lack of culinary excellence in the area and filled the gap with a menu that met every single need, including vegan options to ensure all customers were satisfied. Kuldmokk’s menu can be found online, and it’s one stop you’re going to want to make next time you’re in the area. Enoteca Lucca challenges convention by treating its guests to a complete open kitchen, allowing them to observe the cooking process and employing the best employees who guarantee an outstanding and friendly interaction with guests from all over the world. The menu, presented by Chef Ahmet Tiryaki is constantly changing and features influences from Middle Eastern cuisines for a beautiful, well rounded gastronomical experience. 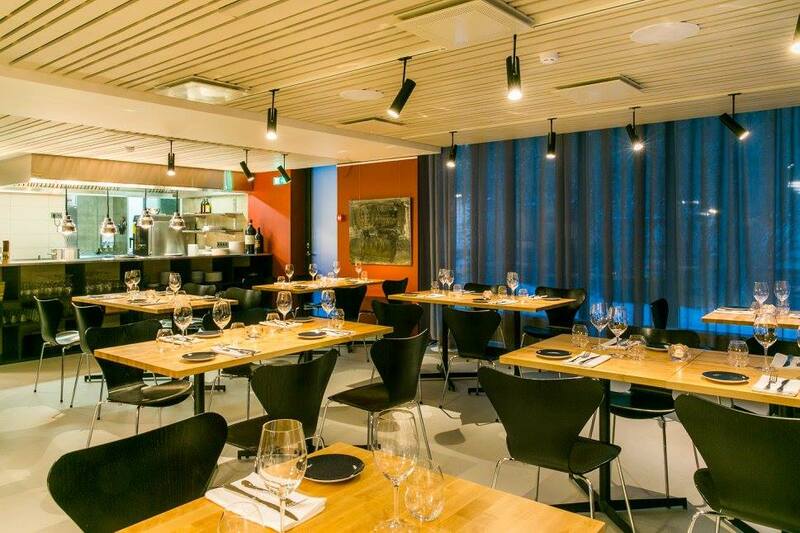 The menu is accompanied by an amazing dining area which features an art gallery complete with works of Estonian modern art pieces, all for sale. Imagine going out to eat and taking a modern art masterpiece home with you! The wine selection at Enoteca Lucca is second to none with every single vintage imported from small producers in Spain, Austria, Portugal, and France. Only a small handful of wineries meet our rigorous standards, guaranteeing your satisfaction each and every time you come to our location and choose a wine pairing. Stop by and enjoy a diverse menu, outstanding wine pairings, and an amazing atmosphere. For the last twenty years the Argentine restaurant has been pushing the boundaries and enticing the senses of meat lovers as a true barbecue paradise. The Argentine kitchen is famous for throwing the most amazing barbecue events the area has ever known, with the oven manned by Konstant Kisseliov, the head chef. Not only does he know how to cook, he knows how to deliver a juicy piece of mouthwatering meat that will tease the senses and satisfy any appetite. Meat preparation is an art, and this head chef has it down to a science. The cooking process here is completely transparent, with all steaks made on a hot grill right in front of the customer. Whether you’re a meat or fish lover, there’s something here for you, all seasoned in the Argentinian method. 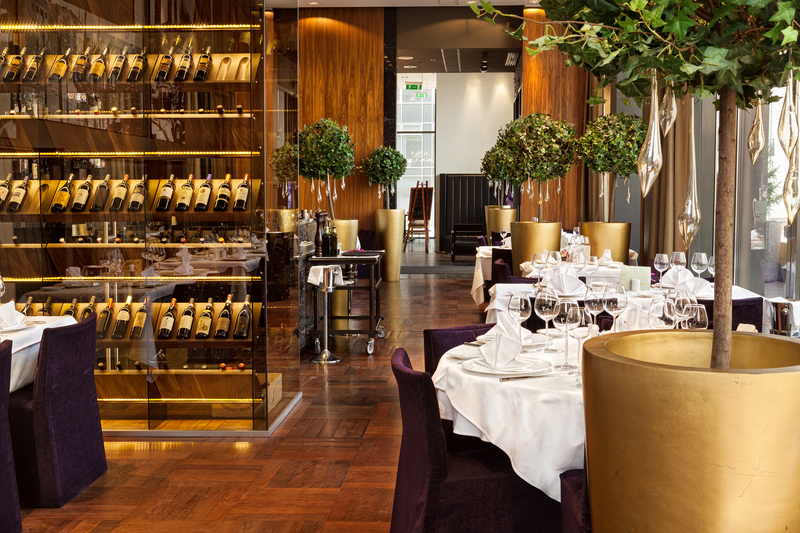 Your meal will be accompanied by a careful wine selection with vintages chosen from all over the world. Booking events at Argentiina is easy, and the establishment features an upstairs dining room capable of easting up to 55 people. Meetings, birthdays, and other events can unfold against the backdrop of a private dining room, and complimented with the best food the area has to offer. Bordoo isn’t your average restaurant; the first thing you’ll notice if you stop in on Friday or Saturday evening is the live piano which is a great companion the outstanding meals that the venue has to offer. On top of the incredible music, Bordoo offers a range of cuisines and dishes inspired by the exploration of various regions and their gastronomical traditions. Not only do the experienced chefs know what they’re doing as far as food preparation is concerned, they know the value of high quality, raw ingredients. Along with already offering the best dishes found in the region, Bordoo is always looking for new inspiration to bring to the menu, ensuring a constantly changing selection for both tourists and locals. The Bordoo consists of different spaces in addition to the main dining room. The first is the Angel room which features an 18th century hand-painted ceiling accompanied by a courtyard view. It’s perfect for celebrations, but if you’re looking to host something slightly larger, the library is capable of hosting up to 45 people. Finally, there is the piano suite which is great for romantic encounters. 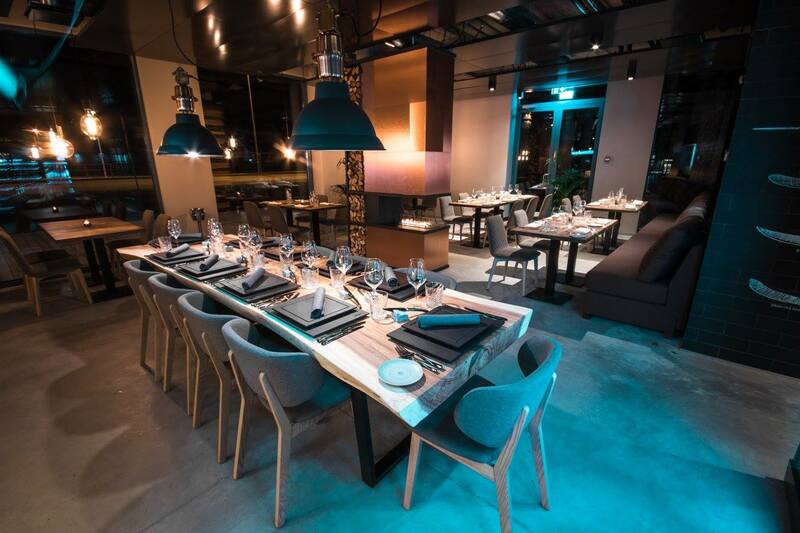 For a memorable experience in Estonian dining, you really cannot do much better than the Bordoo. Oliver is a beautiful restaurant that sits right in the heart of Tallinn and near Town Hall Square. Inside you’ll find a steak restaurant that offers culinary delights from across the globe, all presented in a highly flexible menu. As a customer, you have the opportunity to define your meal and choose the menu items that you want. While steaks, sauces, and side dishes are a dominant part of the menu, you’ll also find vegetarian options, pasta, soups, salads, and a selection of appetizers. If you’re traveling with your kids, Oliver offers something especially unique: they’re the only al la carte restaurant in Old Town that features a kid’s corner, complete with color books, TV, puzzles, and toys. Your vacation isn’t complete until you eat at Oliver! 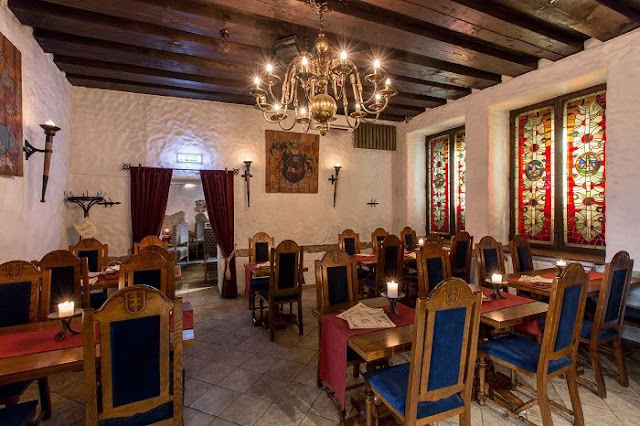 Olde Hansa sets itself apart from most other restaurants in the area, being the home of a rich merchant, featuring delicious food, good drink, and amazing music. The atmosphere is designed to replicate Hanseatic times, and overall, it’s a very memorable experience. In the evenings, the venue features medieval music, played by skilled musicians who wander around the house. It’s a completely different experience and one that you’re going to thoroughly enjoy. If you’re just visiting the area, you absolutely want to make this one of your stops. 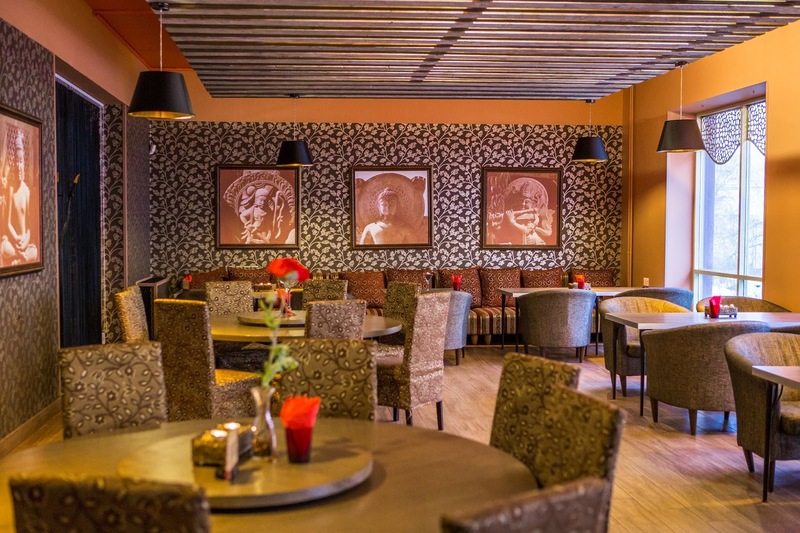 With 70 seats, and located right on the first floor of the Tiskre Business Centre, this restaurant offers some of the best meat in the city along with incredible meals that will satiate the appetite of any traveler. The restaurant itself really brings it’s a game with a summer terrace, and a great environment in which to enjoy your dinner. The meat selection comes from countries like Brazil, Australia, and even Uruguay, making of the perfect fusion of both imports and domestics. With the best cuts and the best meals, there’s no reason to pass this one up. 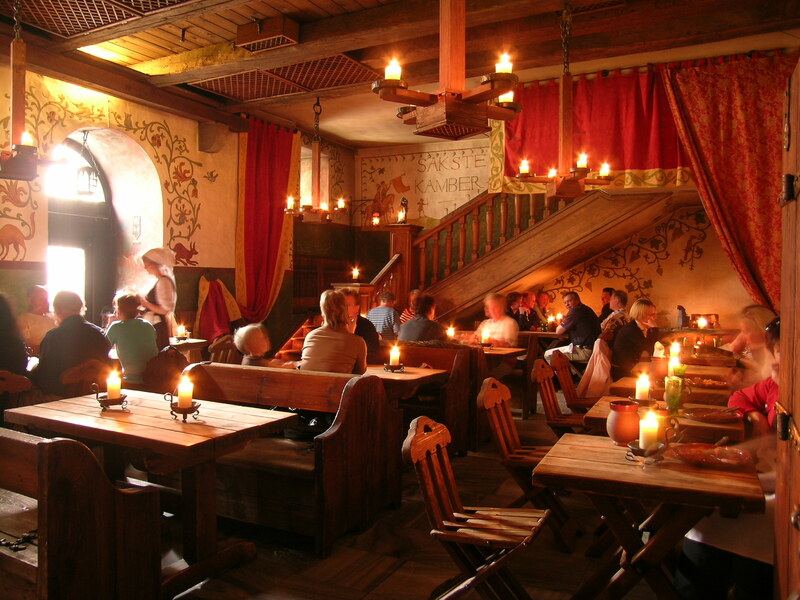 Peppersack is a historical house right in the center of Old Town and features several floors dedicated to different types of events or needs. There is plenty of space for romance, large groups, and much more. Most important, however, is the morning coffee, which is something that anyone can identify with. The Kolme Konna grill sits in the basement of Peppersack and features an open kitchen where dishes are prepared right in front of the guests. Enjoy this, enjoy the house beer, and enjoy your time in Estonia. Lucca restaurant can be found in Tiskre, right by Lucca Summer Mansion and Park. The location has a long history of serving guests, going on ten years now, and the interior comes off as a family restaurant with a romantic atmosphere. 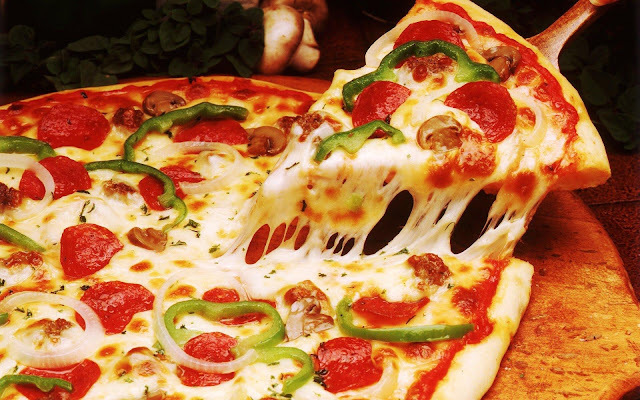 The dishes on hand are genuinely Italian, featuring fresh seafood, hand-made pastas, pizza, and much more. In true Italian style, the wine pairings are second to none here, with some of the best local selections being offered to guests. To make it even better, Lucca is the recipient of the Silver Spook gastronomy award, having won the category of best family restaurant twice. Whether you’re traveling alone or with your family, this is a great place for you to stop. 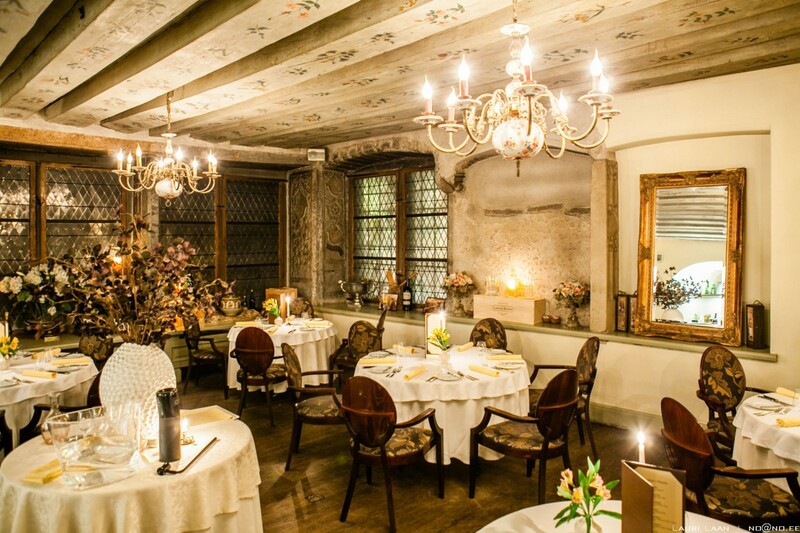 The restaurant Dominic sits proudly inside one of the three oldest residential houses in Old Town, with its first records dating back to the 14th century. 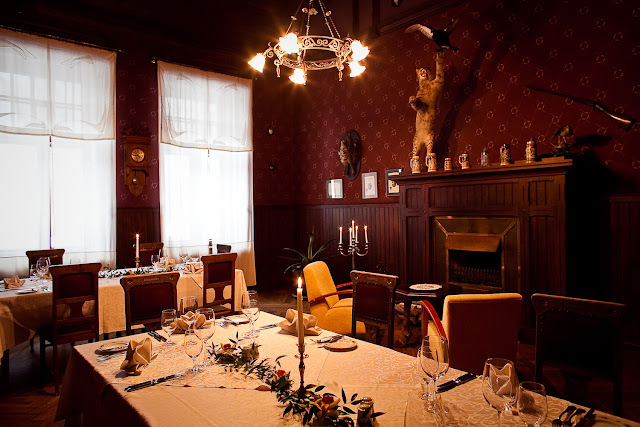 While much of the house has been restored, many of the historical details have been preserved, giving you not only a great meal, but a complete experience as you observe life as it was in the 14th century. Some of the preserved details include a 250-year-old fresco and the 500-year-old double doors with their own carvings. The house is not only home to some of the best cuisine Estonia has to offer, but also an extensive wine list that makes pairing a breeze. For those looking to host events, there is a private room that can hold up to 12 people, whether it’s a birthday party, a corporate meeting, or even a small wedding reception. 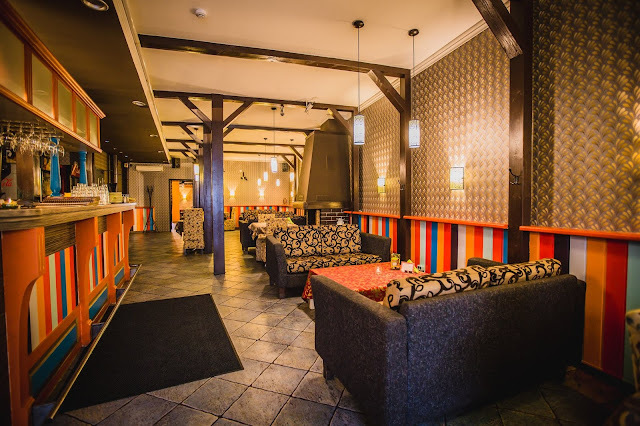 A family owned establishment, the Linnukula Restaurant is an outstanding environment for social gatherings or a night out. It sits in a quaint home, with delicious food and is easily accessible for visitors. The house is not entirely complete, but that doesn’t stop it from feeling like a welcoming home, and one that you can feel perfectly secure. Come alone, or bring your family, giving your children a chance to play in the garden. 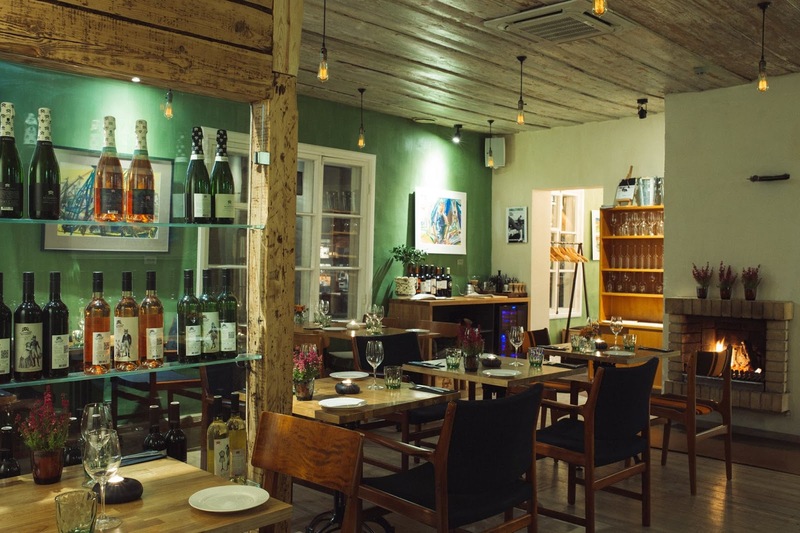 It’s a restaurant that has the feeling of home, set against the countryside of Estonia; you couldn’t ask for a better experience for both atmosphere, and food. 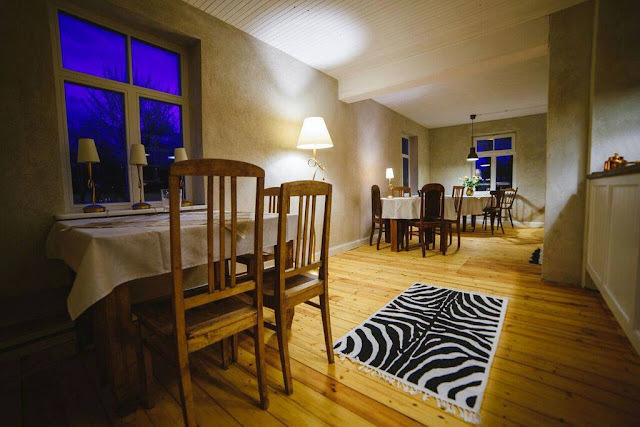 For more information, check out the menu online and plan your next outing whether you’re a local or planning a vacation in Estonia. The best restaurants in Estonia aren’t the mainstream chain stores; what you’re looking for are the out of the way, unique, one shot establishments that offer the best local food, the best atmosphere, and overall, the best service. Meta Description: A winter visit to Estonia is going to involve not only the best sightseeing opportunities, but also the best food in the region. Take a look at these eleven options and get started!